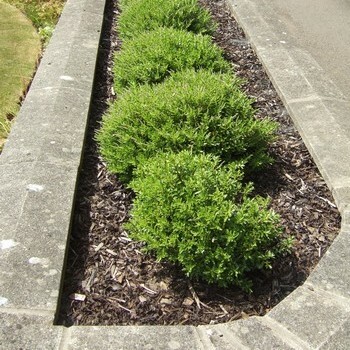 Avoid the chore of regular weeding by spreading a layer of our mulched woodchips around your shrub areas, flower beds and around the base of trees. Mulched woodchips (approx 25 - 30 Kilos - 0.1 cubic metres) for weed control in shrub areas, flower beds and around the base of trees. Also help retain moisture in dry periods. The nice dark colour of this chip contrasts well with plants and flowers, making them stand out. Check our woodchip calculator to determine how much you will require.